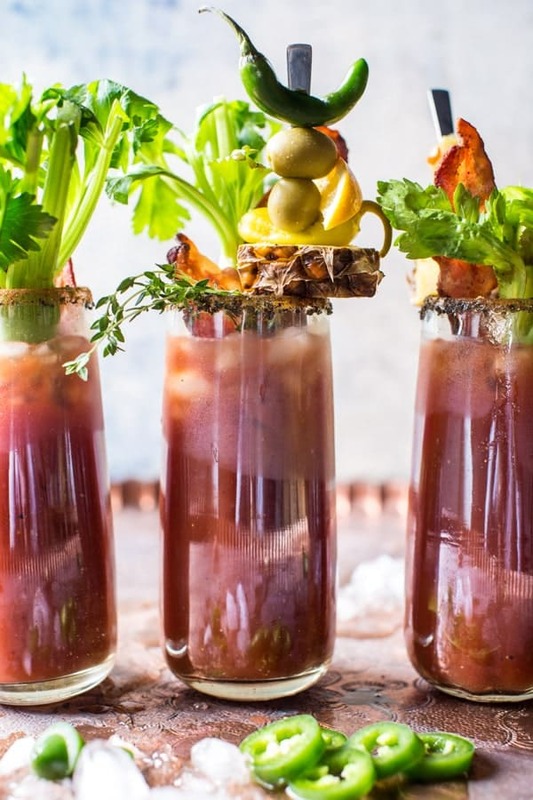 Say hello to the best sweet and spicy Bloody Mary. The perfect thing for good Friday, right? 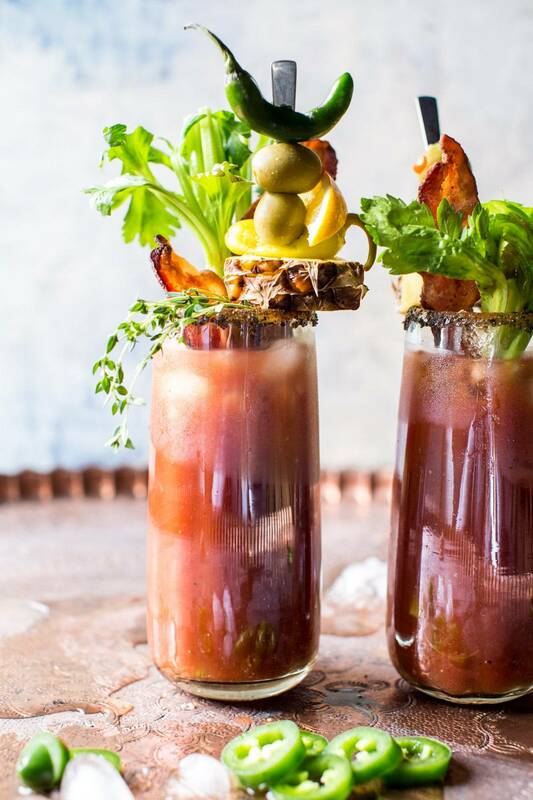 I mean, what’s Easter brunch without a Bloody Mary? Ok, truth? Up until a few months ago I would shy my head away from any tomato based drink. I never really understood why everyone was drinking tomato juice. It just seemed SO odd to me. 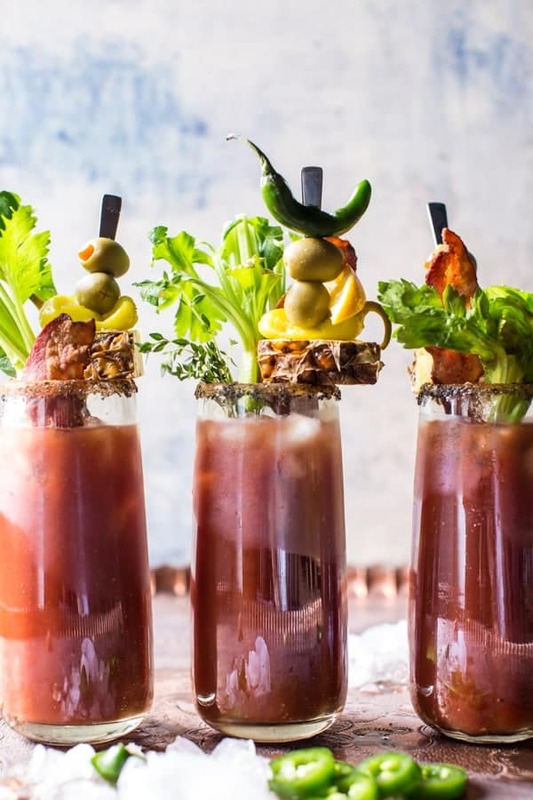 For years now my cousins have been begging me to make Bloody Marys on Christmas morning (hey, hey Maggie, Abby, and Mathew) and this year I finally did…well sort of. When my family was all in town for Christmas this past December we did a snowmobile trip up at Vail Pass. My brother’s really good friend Kyle (who’s basically a family), has a few snowmobiles and invited us all out. Fourteen bodies and six snowmobiles (don’t even ask how we made that happen…let’s just say it involved some snowboarding behind the sleds). Later we somehow ended up at a little bar/restaurant called Mango’s in the town of Red Cliff, CO. We all ordered food…and of course drinks. Some ordered beer, but Kyle ordered the Jalapeño Bloody Mary with jalapeño infused vodka. Somehow someone got me to try a sip and surprise, surprise, it was actually kind of awesome. I loved the sweet and spicy aspect, and as much as I thought it was going to taste like straight up tomato juice, it totally did not. This trip happened a couple of days before Christmas, so I decided then and there that we’d finally make some Bloodys for Christmas morning. My cousin Abby took care of infusing the vodka with the jalapeños on Christmas Eve, which would have been awesome…but she left ALL the seeds in and used probably around four large jalapeños…so yeah, it was really freaking spicy. Like eyes tearing up kind of spicy. Christmas morning came and um, I totally forgot about actually making the Bloody Marys. I kind of got preoccupied with all the gift giving and dinner prep. BUT don’t worry, my cousins had my back and got some Bloody Mary mix and mixed up their own. Luckily, everyone in our family can handle spice, so no one turned their noses to the vodka that was going to make them cry…and I am being totally serious. Abby’s Bloody was by far the best. She lives in San Diego where they apparently really know how to do them up with all the garnishes, spicy salt rim…basically the works. Abby piled hers high, and I can’t lie, I was super impressed. Which brings me to today’s Bloody Mary! This is one hundred percent inspired by the family’s trip to Mango’s and my cousin’s serious love for all things Bloody Mary. Unlike the Bloody Marys on Christmas morning, this is one hundred percent made from scratch, and one hundred percent better. Never again will we be using a mix. You can can make the mix a couple of days in advance and keep it in the fridge until ready to serve. Super simple and easy. I used pure tomato juice and a splash of pineapple juice (you could also use orange juice) to balance out all the spice happening. I also threw in a pinch of Old Bay seasoning for some serious flavor. So good. Let’s talk about that Jalapeño vodka though. You really need to make this to YOUR taste. If you like heat, leave the seeds in, if you only want a little heat, leave the seeds out. O go somewhere in the middle and leave the seeds in only one of these jalapeños. If you want super intense flavor, the longer the jalapeños sit in the vodka the stronger it’s going to be. I normally leave the seeds in and let the vodka sit overnight, but some people recommend leaving it to sit for one week (with the seeds removed…if you leave the seeds in it could get really spicy after sitting for a whole week). If you want to quickly infuse the vodka, leave the seeds in and let it sit a couple of hours. Again, it’s really to your taste and how you would enjoy it. If it gets a little too spicy for you, just add a splash more of pineapple juice to tame it down. Ok and lastly, the garnishes! As you can see, I really went for it…celery, crispy bacon and a loaded skewer complete with a pineapple wedge, pepperoncini, olives, and a chili pepper. The chili pepper was more for looks, but it’s fun, right? Oh, and I also did a salty Old Bay rim too. I know, I know, loaded. But so good and so fun…and kind of perfect for Easter Sunday brunch. 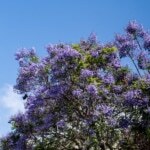 Which is why I am sharing these today! I typically do something sweet on Friday, but these just felt way too perfect for today! Taking tomorrow and Easter off from posting, so I really wanted to leave you guys with one last Easter recipe! I hope you guys have the best weekend, and for those of you who celebrate it…happy Good Friday and have a great Easter!! 1. 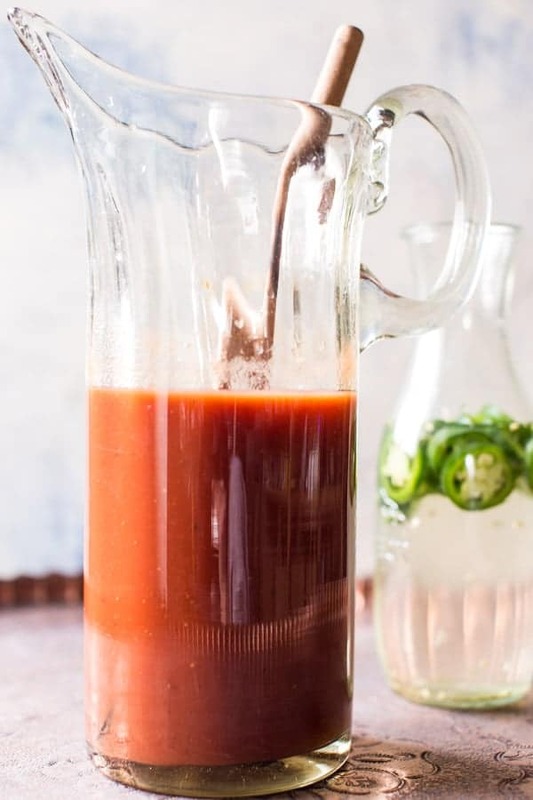 In a large pitcher, combine the tomato juice, orange juice, worcestershire, lemon juice, horseradish, hot sauce, old bay seasoning, and pepper. Stir until fully combined. Taste and adjust seasonings as desired. Keep in the fridge until well chilled or ready to serve. 2. In a shallow bowl combine 1 part old bay seasoning and one part sea salt. 3. To serve, run a lemon wedge around the rim of each glass, then dip through the seasoning mix. Pour 1 shot jalapeño vodka over ice. Pour over the Bloody Mary mix and stir to combine with a celery stick. Taste and if too spicy, add a splash of pineapple juice to tame the heat. Garnish each drink as desired with crispy bacon, pineapple wedges, olives, pepperoncini, lemons, and thyme. Drink! Slice the jalapeños, removing the seeds if desired for less heat. I like to leave the seeds inside 1 jalapeño and remove them from the rest. If my jalapeños are small, I will use 3. It all just depends on how spicy you want the vodka to be. 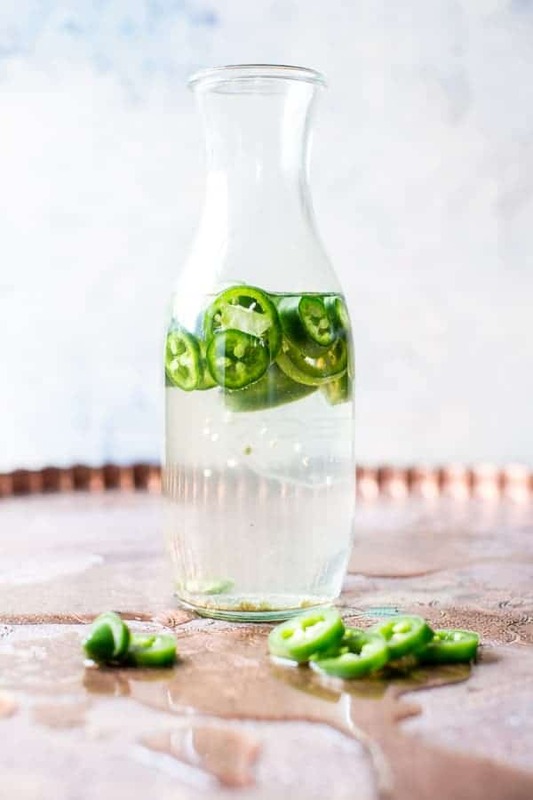 Add the jalapeños to a large glass jar. Pour over the vodka. Refrigerate for at least 2 hours or up to 1 week. The longer the jalapeños sit in the vodka, the spicier it is going to be, so be tasting it as it sits to check for spiciness. Strain and serve as desired. PS. Facebook Live today at 12pm MT! 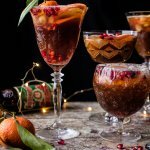 These drinks are epic, Tieghan! I love how you draw inspiration from all over the place, especially family and friends. These are something I really need to try. Thanks Tori! I find it s the best way for me to find new things to try! I’m a mother of 3, and they take up alot of my time…But momma need a drink sometimes! LOL! This looks slammin’. I’ve made a few of your drinks and they are amazing. Excellent flavors & presentation. Will make this ASAP. ….and the hotter the better with the jalapenos. Oo! Sometimes everyone needs a drink! Hope you love this one as much as the others! Thanks Karen! I never would’ve thought to put pineapple on a bloody mary garnish!! Cool idea! And jalapeño infused vodka is the BEST!!! Have a great weekend! Oh my, this is gorgeous. I love the jalapeno infusion. Love the inspiration story. Those are the best. Thanks so much Cindy, I’m so happy you like it! 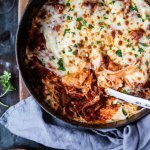 Such a fun brunch recipe – love all those toppers! 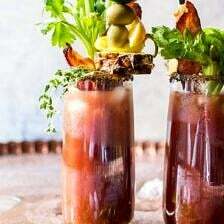 That is one serious bloody served with stackable eats-love when you can munch while you sip! There is a neat restaurant in our area that serves a fun and inspired Bloody that skewers a mini slider on top called the 50/50 burger (50% Beef 50% Bacon=100% Awesome as their copy reads) Butter Lettuce, Heirloom Tomato, Onion, Chipotle Aioli, Ciabatta Bun. …So eye-catching when you see it go by; yeah, one day going to totally smash it. 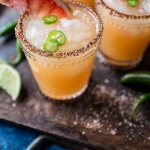 How much fun to combine your wonderful jalapeno vodka along with your fixings and top it off with a mini burg…A meal in a cocktail! And as you say..for the win…ha! I love spicy Bloody Mary, I love them make every way. I am sitting here sipping on a first coffee of the day thinking that I am hungry. Thanks for that bloody Mary recipe. Perfect timing for bloody mary thoughts! Hope you love it thanks! Is the horseradish from a jar or the actual horseradish root? If it is the root, do you have a conversion measurement for the bottled horseradish? You can use either or, but jarred incorporates best! Let me know if you have questions. Hope you love these! What a fabulous Bloody Mary Tieghan! Truth be told, I had my first Bloody Mary about 3 years ago. I never thought I would go for the tomato juice either. What I’ve been missing! I hear that a lot too! People always assume they won’t like it then end up loving them!! We made these for Easter brunch, and we all loved them. 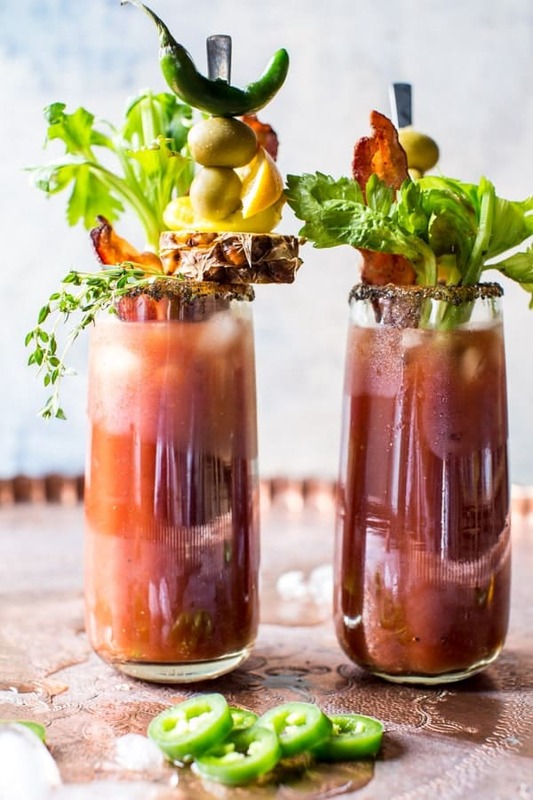 This recipe is great because it gets all of the great flavors that I love in a Bloody Mary, without being super complicated. The jalapeño vodka was the perfect complement to the Bloody mix. Highly, highly recommend! Sweet and spicy? Yes please! So perfect for brunch! So happy you like it (: Thanks Jennifer! Can’t wait for the weekend so I can make one of these! I hope you love them Matt! this is just stunning! I love all the garnishes! rasanya seperti apa ya itu saya belum pernah coba ??? There are a lot of people that will need this tomorrow morning – going back to work after spring break! So gorgeous Tieghan! Ah yes!! Hope it went well!! Thanks Tricia!